I bought a used xq1 roller to swap in the sway bars bulks, heads and alloy suspension holders. The car has gained a substantial weight. The front alloy spool is 4 grams heavier and I had loosen the belt tension because it was too tight. The car so far is slower than it was prior to upgrades. The entire box stock setup goes the xq1 is inferior compared to the xq1s. Right now I am still in the process of getting the roll centers and all the other settings to match my xq1s. So the good news is that the xq1s is more suited for high grip carpet box stock compared to the way more expensive xq1. To clarify, me and John noticed that the car loses a lot of speed mid corner. It does have a lot of steering but it just scrubbed a ton of speed mid corner. The roller did have the reduced Ackerman steering knuckles. 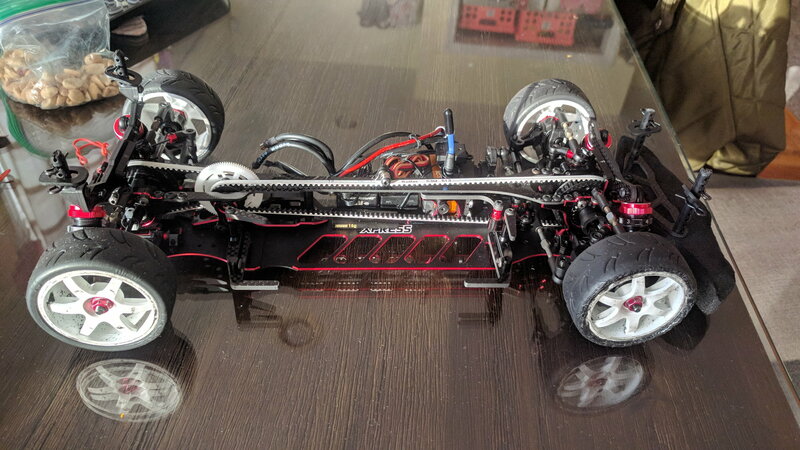 After the race with feed back from John I swapped back the stock knuckles and it carries a lot more speed but I think the belt that is too tight is causing too much drag. 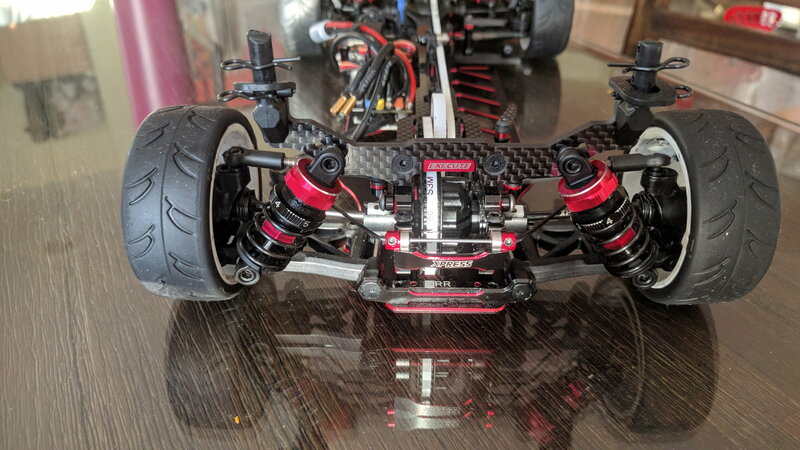 I also noticed my front roll center is lower than my previous setup. So I fixed all of that stuff today. Let's hope it makes a difference the next time out. But the car stopped traction rolling. iTz Nicholas72, johnzhou2476 and DarthBacon101 like this. Last edited by s14_tat; 02-28-2019 at 09:30 AM. roll centers are different between XQ1 and XQ1s? Where are thses different coming from? What are you 21.5 folks running for FDR & motor? I've got a Reedy S Plus and the sheet recommends starting at 4.30 at 35deg timing. I gotta get some pinions/spurs to make this happen, but don't wanna waste $$$ getting too many parts I won't use. Was thinking of 44/100 or 42/96. My local track is indoor black carpet and is relatively small/tight. I run on reasonably large outdoor tracks and my FDR is around 3.2 with around 40 degrees timing. Check with the guys that run at your track what a good ballpark is. 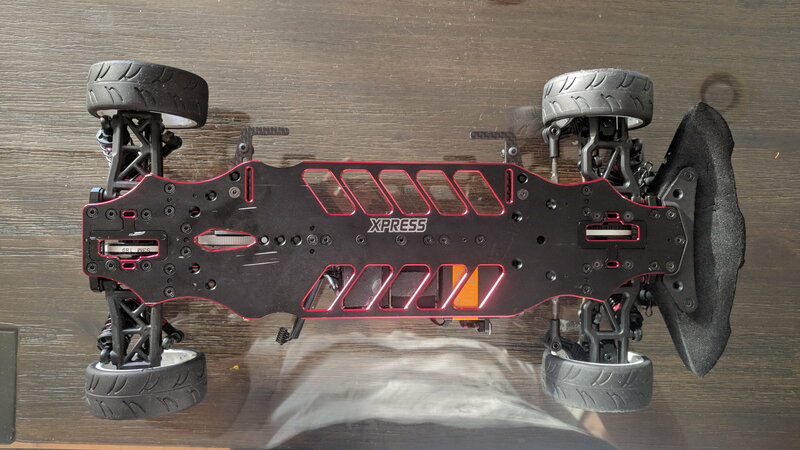 There are no shims on the top of the steering knuckle on the the xq1s and the shims are 1mm shims at both front and rear bulk heads. So is my car still a xq1s? 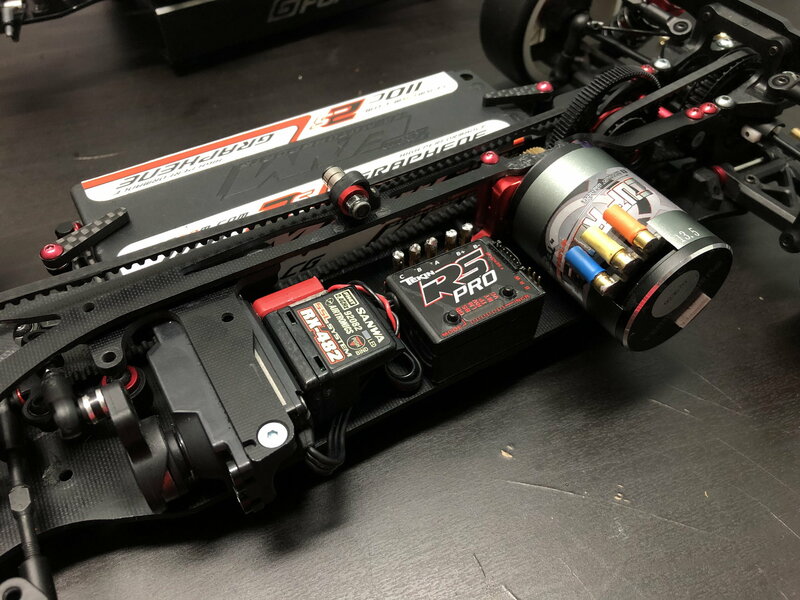 The only part that is a xq1s is the front spool because I run 21.5 and it is 4 grams lighter. I do take pride that the xq1s is so cheap but it technically is a xq1 now. iTz Nicholas72, Bartolo Racing, johnzhou2476 and 2 others like this. Last edited by s14_tat; 03-03-2019 at 04:36 AM. Done beating up on the VTA guys so time to see what I can do in Can-Am Stock TC. Normally run my Awesomatix but that's now dedicated to Mod. I think the fastest lap in practice was a 9.8 by the guy who went on to wax the field lapping them 3 times. I got down to 10.1 on Gravity Type C which are at least a tenth slower on our low trip black carpet. Marcos.J, DarthBacon101 and s14_tat like this. 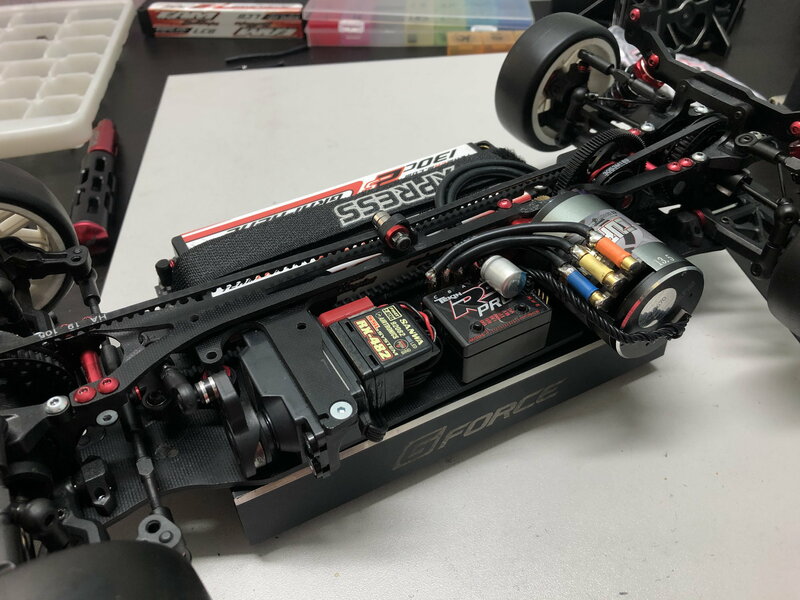 Where do you race? If you ever in NY, come check out 360v2. Hi, this is my Xq1s from Singapore. 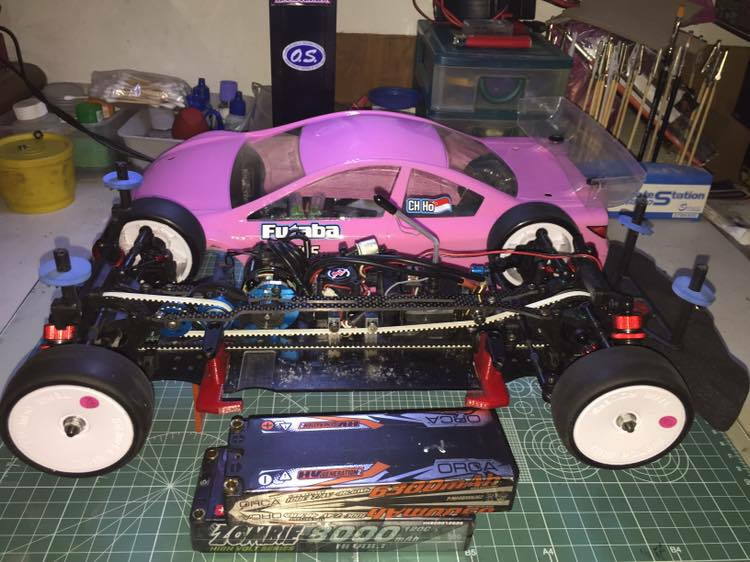 I like how you are doing this with a near stock chassis and keeping everything fiberglass. Is that a single belt conversion? What are the advantages? I know in theory it is suppose to more efficient but there are so many tight bends in the belt. 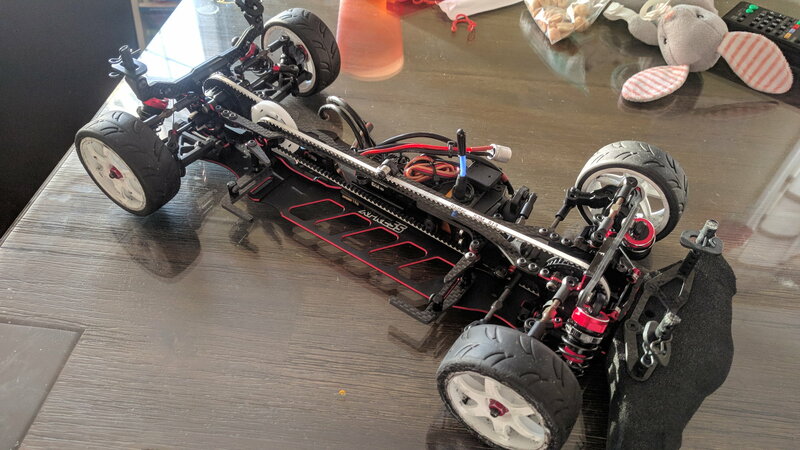 I just put together a XQ1S, and drove it on black carpet for the first time yesterday. Coming into any corner > 90-degrees where you really needed to slow down it had a light chatter that I thought was the body rubbing... but it did with the body off. 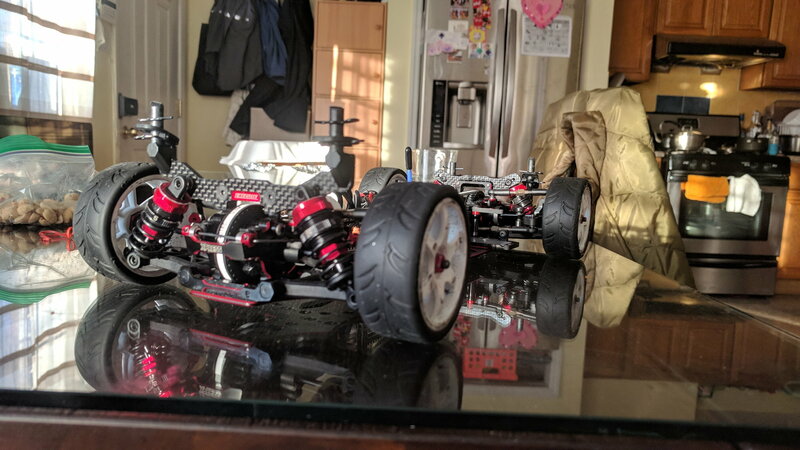 Next I thought it was too much throw on the servo as the front driveshafts start to make noise at full-lock... but if I adjust things to be completely silent at lock it takes away half of my steering. Has anyone else had this problem, and if so is it something the double-jointed shafts from the XQ1 will fix? (XP-10166). Thanks! I never drove the car with the stock axle in the front. I went straight to the double jointed axle. It fits but you need to run 5x10x3 bearings on the inside of the hub.